You see, it was my job to let him know he had HIV. He had just turned 23. The room had stopped, he took several deep breaths. Inhale, exhale, inhale, exhale. “Positive” read the results on the confirmatory and this young man felt it was the end of his journey. In 7 minutes I witnessed a person go from feeling whole to feeling deeply incomplete. His back hunched over, he continued to look down at his feet. But you see, it was not only about him, his partner had been a virgin… until they slept together. No protection was used, so my patient’s worries ensued. How does he tell his partner his results? What if the results held the same fate as him? All he could feel was guilt and confusion. Reality trickled in for him; this was no dream or illusion. His aura was filled with strife. He wondered if he had put a death sentence on his partner’s life. It was no longer about him, but the life of another. Someone he cared deeply about, a friend and a lover. We think of love and we think trust; But what about lust? We tend to see the surface alone when it comes to people. But everyone has a reason and a story. We’re living in the 21st century, but the HIV rates are still rising. You and I, we have the power to keep the death rate declining. There is no face to HIV, there is no look, no special walk nor talk. 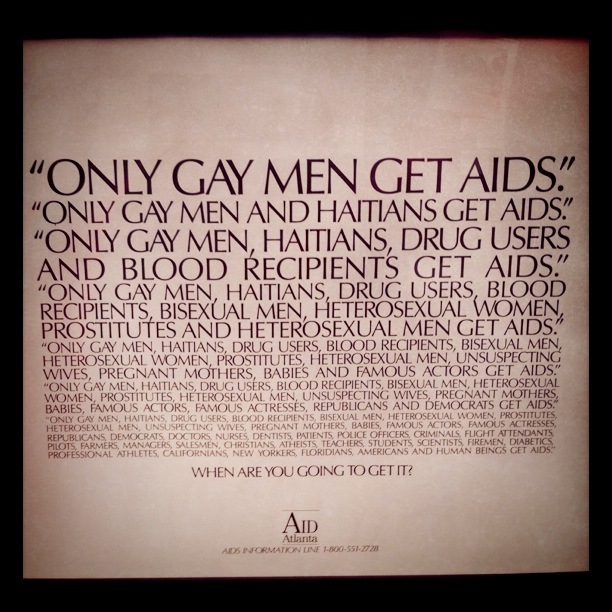 HIV doesn’t discriminate; but it continues to eliminate. It could greet your mother or your little brother. Sexual orientation, socioeconomic status or religion does not exempt you. As long as the antibodies infect the blood, this diseases wrath still holds true. When it comes to HIV, it is not just about you or me, but it is about “us”, the “we” … educating our community. So take control of your life when you can; know your status like the back of your hand.